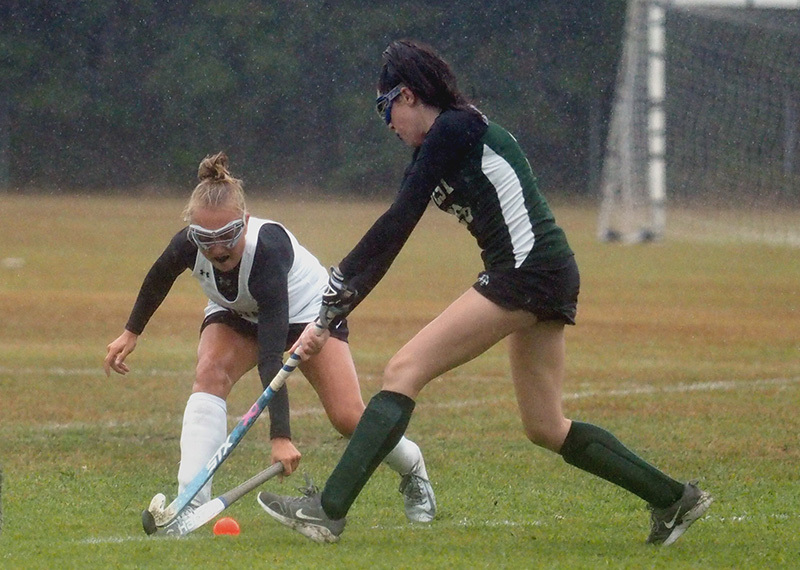 Allyse Guyther, left, and Ciara Morrison battle for a loose ball during this week's field hockey action. The team was disciplined for a hazing incident. The Martha’s Vineyard Regional High School (MVRHS) has taken disciplinary action against the girl’s field hockey team after a team event resulted in hazing activities. There were no drugs or alcohol involved in the incident, though McCarthy declined to discuss the nature of the incident. After the incident, the MVRHS administration took steps to interview players and coaches. The school has taken action, but McCarthy said he was not at liberty to say what that action was. No games have been canceled for the field hockey team, and no players have been suspended. Principal Sara Dingledy told The Times during a phone conversation the incident had been dealt with internally, and a letter was sent out to parents of field hockey players and school committee members concerning the incident. A request for a copy of the letter was declined. 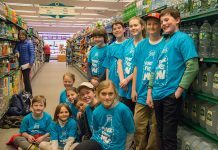 “We worked to communicate with the students and the parents. We addressed [the letter] to them, and we made our decision on how we were going to address the situation,” Dingledy said. Although both team and league predominantly consist of girls, they are coed. Journalism 101 – who, what, where, how, why? But now we hear it’s “coed”, right on cue. I’m really curious about two things?